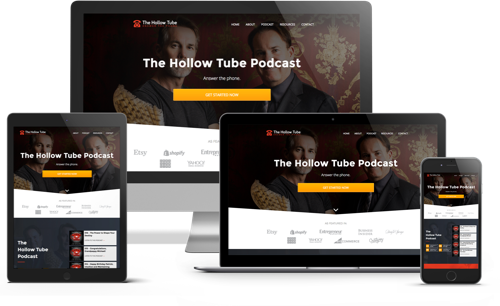 Welcome to episode 8 of The Hollow Tube Podcast, the podcast that answers the question of what if? Patrick and Michael kick off the show catching up with each other. Michael has just returned from visiting their dad. Patrick is catching up with some light reading with Gifts of the Crow and A Little History of the World. This book was written by E.H. Gombrich when he was only 26 years-old. He was originally editing a children’s book based on history and thought it was so poorly written that he created his own version. This version may have originally been for children, but it is a compelling history book for adults too. The guys then move on to a discussion about the importance of Crows and Ravens. Ravens were depicted on cave paintings and adorned altars of Haida Shamans. Charles Dickens had a pet crow named Grip which inspired Edgar Allan Poe’s The Raven. Patrick also reminds Michael of a story where their mom got fed up with the kids watching TV when she returned home from work and chucked it out the window. They then began reading and memorizing poetry which created a lifelong love of the written word. They also talk about Michael’s Ecuador trip and his sweat lodge experience. He had a profound experience that was all about breath, breathing, and taking the perfect breath. Which leads to the take home message for today which is always be with your breath and take responsibility for your life. That’s 100% of your life, because 99% yes is 100% no. [04:53] Patrick has always had an affinity for birds like jays, ravens, crows, etc. These birds are on the same intelligence level of primates. [06:05] Crows are masters at shaping wire and making tools. [07:34] Cave paintings in France depict crows. Haida shaman’s bodies are placed on altars adorned with crows. [08:19] Charles Dickens had a pet Raven named Grip. Grip was featured in Barnaby Rudge. Edgar Allen Poe reviewed the novel and used Grip as inspiration for The Raven. [09:12] When Michael and Patrick were kids, their mom had to carpool to work. When she got home they were all watching Amos and Andy. Their mom got tired of the TV watching, so she chucked the TV out the window. So, they grew up reading and memorizing poetry. [11:51] Patrick would read so much, he sometimes missed school reading. [12:55] How canned laughter on old TV shows was produced by people who are now dead. [14:57] The Raven is Patrick’s favorite poem. [15:24] Phrenology and the shape of Darwin’s nose. True Phrenology is an examination of someone’s brain and skull. Crow’s brains are very intricate and very much like human brains in many ways. [19:36] Michael just returned from a trip to Ecuador. [20:00] The value of TSA precheck. You just walk through the line. [26:00] How their dad was a CHP officer and got involved in a shootout. [30:45] Losing insight with dementia and just living in the moment. [31:41] How Michael’s dad flashed his badge and got Michael out of a speeding ticket. [33:18] The beautiful airport in Ecuador. Michael stayed at a house with a view of two volcanoes and everything was green and lush. [38:10] How it feels not to have any electrical things like appliances and Wi-Fi. [38:55] Looking at the world differently and simple pleasures. [40:36] Ants coming through a village in Yelapa, Mexico and eating all of the unwanted things. [44:38] Vacationing in Mexico and having passports when you fly. A family vacation is in order. [46:16] Lakota sweat lodges and the Sun Dance at a reservation in South Dakota. This is a sacred dance with fasting for several days and several sweat lodge sessions. It lasts for 4 days. [47:46] Michael did several sweat lodges in Ecuador. The heat is very intense. They open the door just before they can’t take the heat anymore. [49:25] Building sweat lodges by bending little pieces of willow. It’s a metaphor for the entering the womb of the Earth Mother. [53:14] Coming into contact with your breath in a sweat lodge. [54:13] Your breath is everything. When confronted with a situation take a breath and step back into yourself. 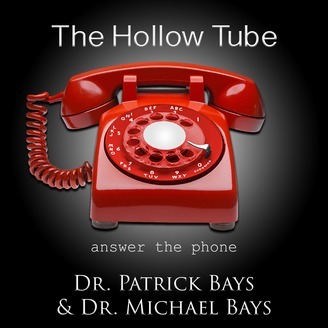 [55:05] Being in the hollow tube. Being the breath. Feeling at an integral level. [57:06] Stepping away from the present world and walking towards your future and grabbing the energy and taking it back to the present. [57:40] The first and last breath we take in this world. [59:49] Taking a moment to reconnect with your breath. [02:46] Heat shock proteins are released when exposed to extreme heat conditions. HSPs or HSP 70s are found in fruit flies. [03:56] HSPs are produced by all of the cells in our bodies in extreme or shock conditions. [04:45] Effective proteins fold and have to be three dimensional. [01:05:44] These proteins are also involved in clean up and take damaged proteins to the graveyard. [01:06:47] They also help proteins transport. [01:07:14] In a sweat lodge your body manufactures these proteins at a higher level.